Taxonomic Notes: Lithophane franclemonti Metzler, 1998, n. sp. : Journal of the Lepidopterists' Society, 52: 1-8. Metzler, E.H., 1998. 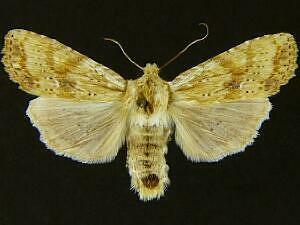 Presidential address 1997: A new species of Lithophane (Noctuidae), from the midwestern United States, dedicated to the purpose of the Lepidopterists' Society. Journal of the Lepidopterists' Society, 52(1): 1-8.